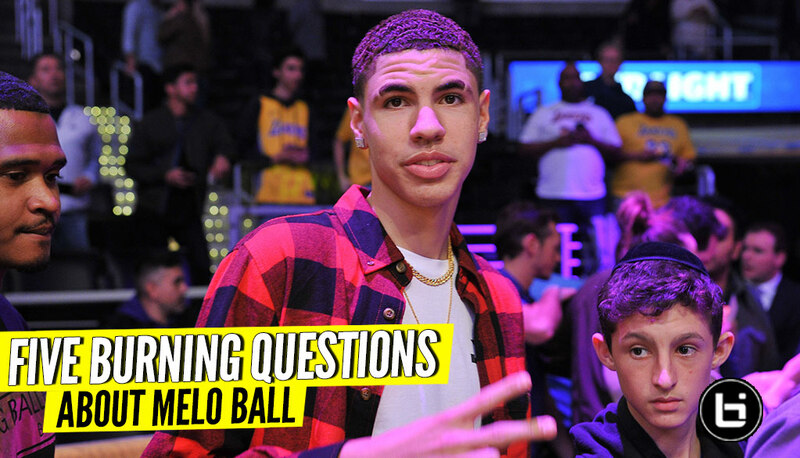 Periodically, Ballislife answers the most pressing questions about a hot topic in basketball. Today, we take a look at the situation surrounding LaMelo Ball’s enrollment at SPIRE Academy (Geneva, Ohio), why some high school programs won’t play SPIRE and what the decision means for Ball’s potential NCAA eligibility for 2019-20. 1. Why won’t Oak Hill Academy (Mouth of Wilson, Va.) play SPIRE Academy? As an independent program that follows the rules of the Virginia Independent Schools Athletic Association (VISAA) and guidelines set forth by the Virginia High School League (VHSL), it won’t jeopardize its standing with the VISAA by playing a program where there are questions about a player’s eligibility on that particular roster. VISAA guidelines require its members to play other programs that adhere to the organization’s eligibility rules. Oak Hill Academy plays upwards of 40 regular season games and in order to fill out their schedule with quality foes, it won’t take the risk of playing a school with eligibility questions because the Warriors want to be in compliance with opponents that are full-time members of other state associations. Oak Hill Academy doesn’t want to put itself at any risk of forfeit as it looks to qualify for GEICO Nationals at Christ the King in New York, April 4-6, 2019. 2. Why won’t La Lumiere (La Porte, Ind.) play SPIRE Academy? La Lumiere is basically in the same position as Oak Hill Academy. As an Independent program, it doesn’t want to be involved in any forfeit situation, or be involved in a game where there is potentially an ineligible player participating. La Lumiere is allowed to play schools in the Indiana High School Athletic Association (IHSAA) and it doesn’t want to do anything to jeopardize its standing with that organization. Since it does not play for a state title, La Lumiere’s goal each season is to play at GEICO Nationals. 3. Would Melo Ball be eligible to play at a full-fledged association member high school? No, under our interpretations of state association rules, he would not. State associations (and some of America’s 50 states have more than one governing body), follow rules and guidelines set forth by the National Federation of State High School Associations (NFHS). According to those guidelines, a student-athlete who participates in a pro league is not eligible at its member schools, whether the individual was paid or not. With that in mind, it will be interesting to see if scheduled SPIRE games in January versus OHSAA members Brush (Lyndhurst, Ohio) and St. Edward (Lakewood, Ohio) are played with Melo on the court. 4. Why will some teams play SPIRE Institute (while others won’t)? Because some independent programs who don’t play for a state championship either are not worried about playing in an event like GEICO Nationals or simply don’t know the eligibility standards for it. Others may carry post-graduate players and already know they are not eligible. Teams that are independent of any governing body for high school athletics and would like the publicity that comes from playing SPIRE, or the notoriety by beating them, will line up to play against Melo Ball. By playing SPIRE, they are greatly lessing their chances to play in any sanctioned end-of-the season event, including GEICO Nationals. Some independent programs that have attempted to grow a positive reputation and shake the bad label sometimes associated with prep schools will have reservations of playing against a team where any eligibility questions exist. 5. Will Melo Ball Be Eligible To Play NCAA College Basketball? It is going to be very hard or nearly impossible for Melo Ball to gain eligibility. If he signs a letter of intent, the NCAA investigation will open immediately and it will likely take a long time to sort out his amateur status, if previous precedent is any indication. Will it be worth it for a NCAA program that will have him on its roster and on its campus for a very short time anyway? In light of the ongoing federal college basketball corruption trails, NCAA schools and independent high school programs that are filled with future college basketball players will exercise caution in this current climate. Schools, especially the ones that have been mentioned in the trials such as the University of Louisville and La Lumiere, don’t want any negative publicity at this particular time, as well, and that will likely affect decision-making for the immediate future.